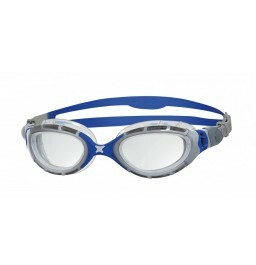 Get fully immersed in the water with the Predator Flex swimming goggles. The superb comfort of Predator Flex is not lost with the new frame, with unique 4 Flexpoint Technology™ offering fantastic frame flexibility. 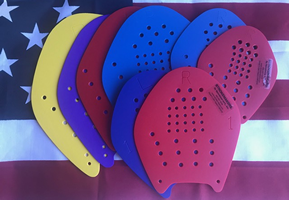 The blue tinted lenses are also an ideal addition for indoor swimming as well as offering good protection against bright outdoor light. Throw in Fogbuster™ anti-fog for exceptional clarity, UV protection and CLT™ Curved Lens Technology and you have a goggle that performs as great as it looks.